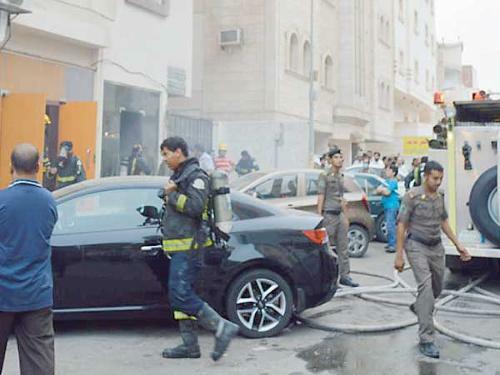 At least 24 people sustained various injuries Friday when a fire broke out in a five-story building in north Jeddah, said Civil Defense spokesman Col. Saeed Sarhan. Most of the injured suffered from smoke inhalation while a 13-year-old girl fractured her pelvis after she jumped from a first-floor window. She was rushed to a nearby hospital while other victims were given first aid on the spot. The cause of the fire has not been determined yet.